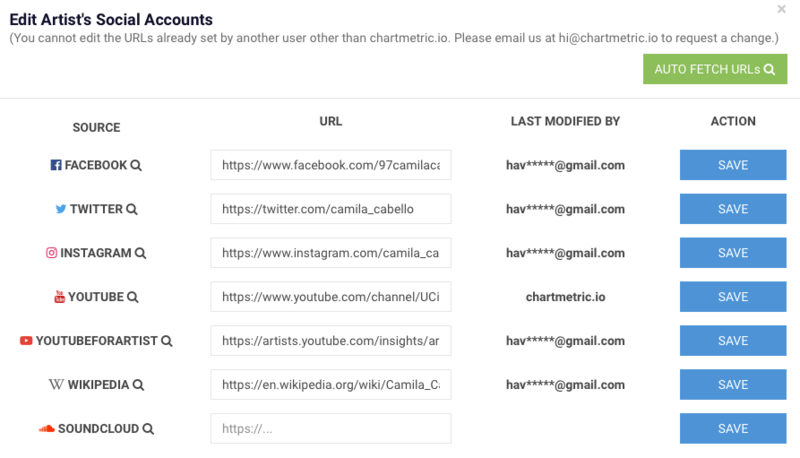 If the URLs were added by us (chartmetric.io), you can add/edit/remove them any time. If the edit is disabled, it means that someone else edited it. Premium account holders can still edit those URLs. For some reason if you can't, please contact us.